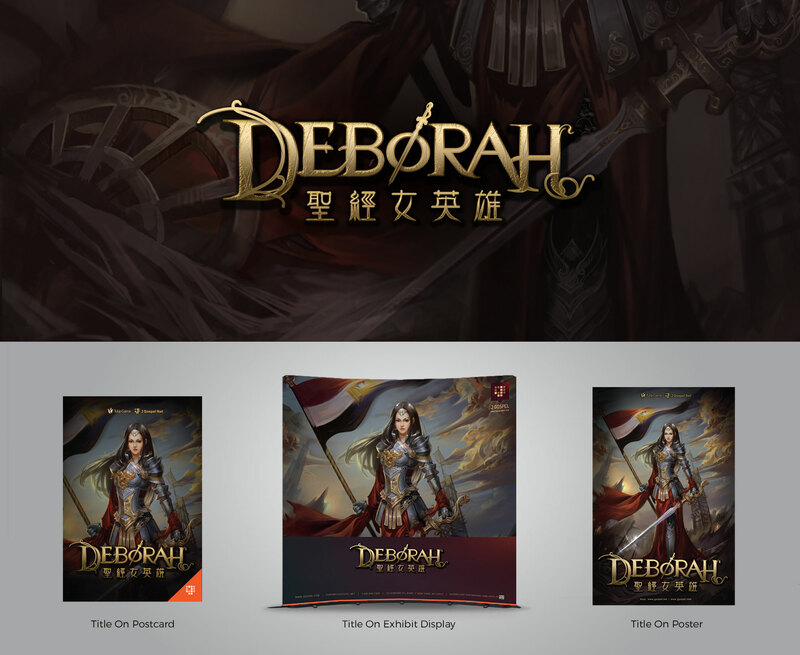 Yuling designed this title for the game project, Deborah. The story of Deborah is based on the prophetess Deborah in the Old Testament Bible. Yuling designed this title for the Bible storybook “The Adventure of David”. It will be developed into interactive app and game. Yuling designed this title to match the Japanese comic style of this fantasy book “The Adventure of Atlantis”. It will be developed into interactive app and game. Yuling designed this title to match the illustration style of this children’s Bible storybook “Jonah – The Runaway Prophet”. Yuling designed this title to match the illustration style of this children’s Bible storybook “The Gospel of Mark”. Yuling designed this title to match the illustration style of this Bible storybook, “Ruth – A Life of Love & Faith “. Yuling designed this title to match the illustration style of this Bible story, “The Adventure of Moses”, which was made into interactive book app, iBook and paperback book. Yuling designed this title to match the illustration style of this Bible story, “Abraham & The Cities of Sodom and Gomorrah”. Yuling designed this title to match the illustration style of this Bible story, “Joseph – Journey of A Dreamer”. The image shown here is the Chinese version of the title.